IT took them a total of 11 matches to register their first victory of the season. The Cape Town-based outfit survived relegation by a whisker last season. 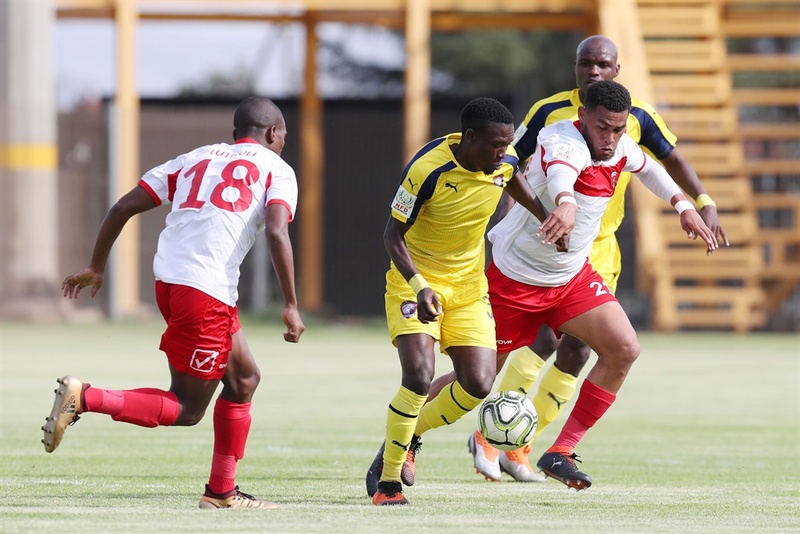 They got their first win last Sunday at the expense ofhigh-riding Tshakhuma Tsha Madzivhandila, who they defeated 1-0 at Boland Stadium in the Western Cape. And now Ubuntu coach, Vladislav Heric, has vowed to build from that victory and move from the bottom of the log before it’s too late. Despite the win, Ubuntu remain at the bottom of the NFD, with six points. They are three points behind fellow Cape Town side, Cape Umoya, who have been also struggling to breathe. Heric told SunSport: “Last season this team survived relegation in the last 10 minutes of their last game against Tshakhuma, where they scored two goals in the last minutes to secure a 3-1 victory that saved the status. “We don’t want last-minute things again this year. We need to collect points and move from this position,” the well-travelled Heric insisted. Ajax Cape Town, who were relegated from the Premier Soccer League, have also been going through tough times in the NFD. Last Sunday, after a 2-1 defeat to Witbank Spurs, Ajax broke the news that coach Muhsin Ertugral had resigned from his post with immediate effect. Stellenbosch, Tshakhuma and newbies TS Sporting are the three teams that have been having a good time, as they have been exchanging the top spot among themselves in the past games. Stellenbosch are currently leading the log with 23 points, Tshakhuma and Sporting are second and third respectively with 19 points. Stellenbosch midfielder, Abednego Mosiatlhaga, says they will keep their heads down and work hard to reap the rewards at the end of the season. The likes of Jomo Cosmos, Real Kings and Amatuks have not made much of an impact this season. The First Division will resume next weekend after the Fifa break with some interesting fixtures. Kick-off for all the games is at 3.30pm.